Jack and Jill sings an original rhyme for babies entitled Kitty in this Mango baby songs music cartoon. 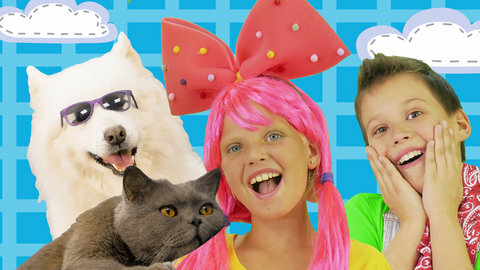 See Jack and Jill play with their pets namely Kitty the cat, Doggy the dog, and Birdie the bird. Learn this catchy song with them and be entertained at the same time. Keep on learning other nursery rhymes and songs when you visit their channel at SeeZisKids.com.